Home Machine Learning 25% of employees use the same password for every account. AUGH! 25% of employees use the same password for every account. AUGH! Employees may be a company’s greatest asset, but they also remain the greatest cyber security risk, according to a Monday report from OpenVPN. 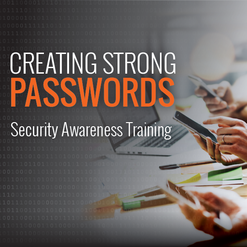 Despite an increased focus on security training, 25% of the 500 US employees surveyed report that they use the same password for every account, the report found. Another 23% of employees said they frequently click on links before verifying that they lead to a legitimate, safe website. Of the employees that use the same password for everything, a whopping 81% said they do not password protect their computer or phone at all. Some employers are turning to biometric passwords such as fingerprints to enhance cybersecurity, the report found. These have generally been welcomed by employees: 77% said they trust biometric passwords, and 62% said they believe they are stronger than traditional alphanumeric codes, according to the survey. However, at this point, only about half of employees (55%) use biometric passwords. Clearly these people need to be stepped through some password security awareness training modules.